In the suburbs of Moscow, reigned around 1571 Tsar Ivan IV, 'the Terrible'. Widowed, he is looking for a new wife for the third time. He chooses the young Marfa; she loves another man but bends to the will of the Tsar and renounces her love. From this starting plot, the Russian director Dmitri Tcherniakov retains only the frame. A live competition is organised for a virtual monarch like in a reality show called 'Joe Millionaire' where competitors attempt to marry a rich man. Here, the characters become the various players of the audiovisual industry, bringing an acerbic criticism of contemporary TV. 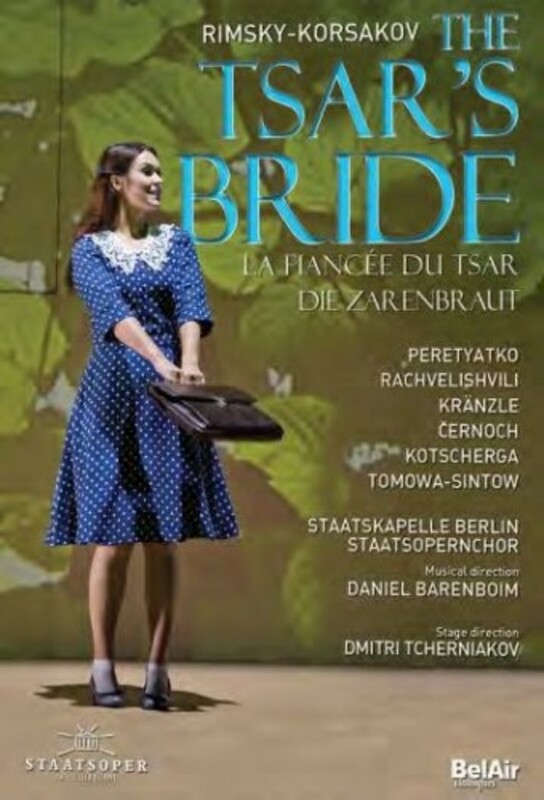 Recorded (HD) at Staatsoper, Im Schiller Theater Berlin, in October 2013.